Spacious Super king or Twin bedroom with luxury pocket sprung mattresses. 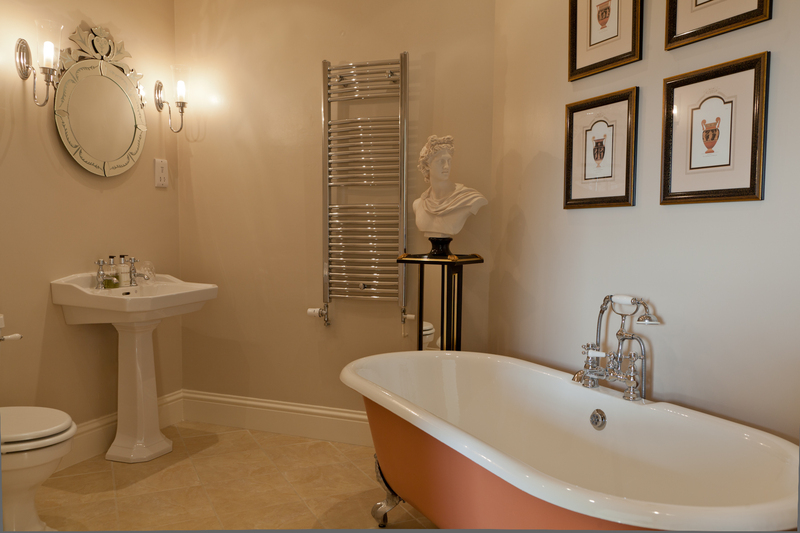 This beautiful room is again furnished with a mixture of English and French furnishing with a custom made dressing table dating to 1890. 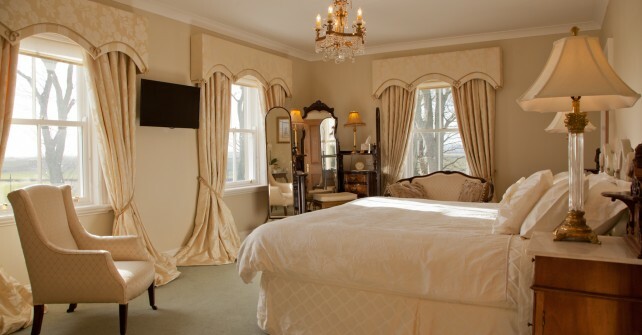 This room is positioned at the front of the house with three windows looking towards the Eildon Hills and Paxton House. Pure wool carpet and Egyptian cotton bed sheets, 32″flat screen LED TV, with hospitality tray. Settee in bedroom. 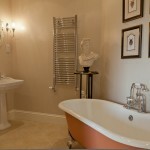 En-suite with roll top bath, toilet, wash hand basin and shaver point, Molton Brown soap and hand cream.